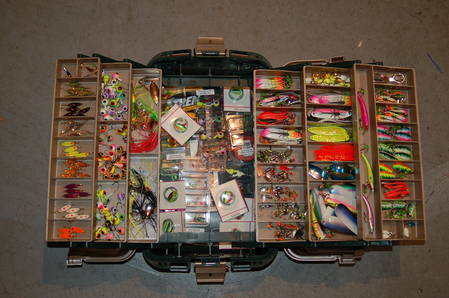 This box of unused lures came from a charity auction several years ago. I refer to it as the jewelry case. Generated in 0.023 seconds in which 0.004 seconds were spent on a total of 17 queries. Zlib compression enabled.